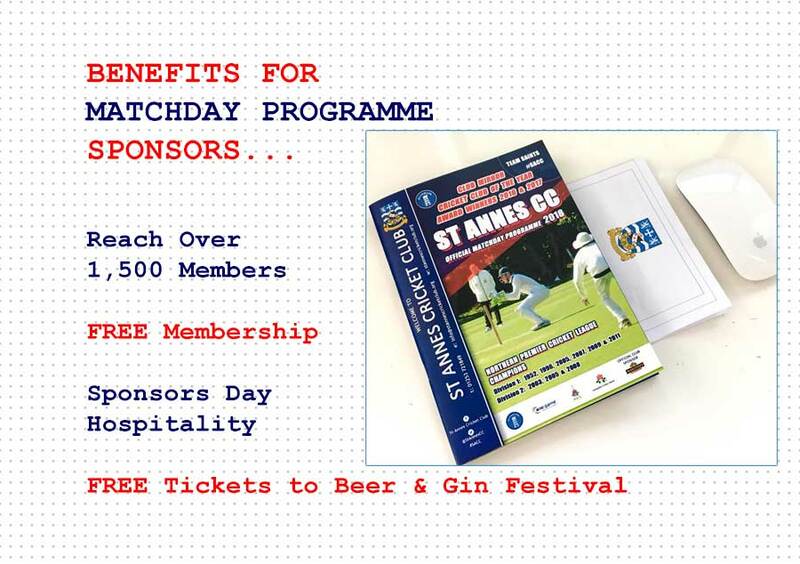 At St Annes CC we believe it’s a mutually beneficial relationship between you, our sponsor, and us. There are several simple and effective ways in which you can sponsor us and gain positive exposure, increase sales, heighten your brand awareness and improve your standing in the wider community. Did you know? Sponsorship deals are available from as little as £25! Sponsor a match and not only will your company’s name be printed in the Match Day Programme, but you’ll also have private use of the Function Suite, outside decking area and a delicious buffet for up to 12 guests. Additional guests can be catered for at £8 per head. For parties of 20 or more The Pavillion Bar is also available for private use. This is an ideal way to promote your business, enjoy live sporting action with your guests and experience a thoroughly enjoyable day out! Match Day Programmes are sold around the ground during the match at each Northern Premier League First XI home fixture. 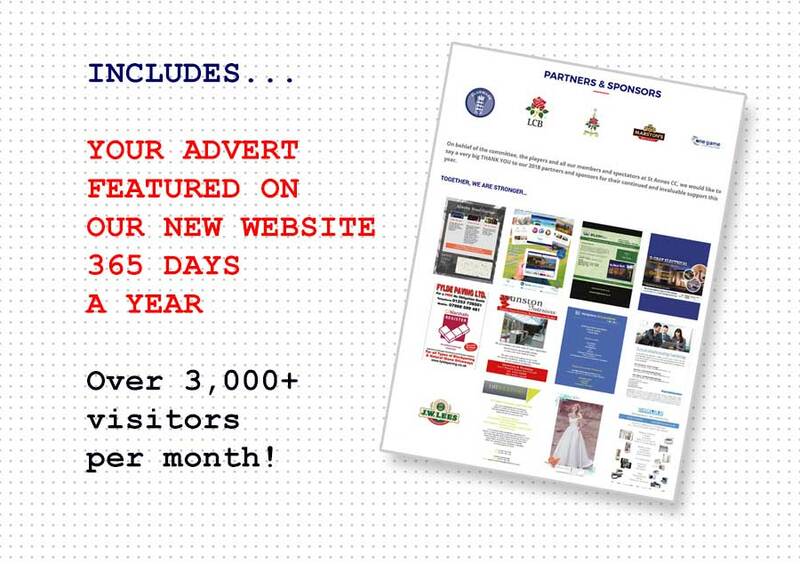 Home and away supporters, spectators and members buy the programme which enables your business to reach both new, potential customers in the local community and those from across Lancashire. 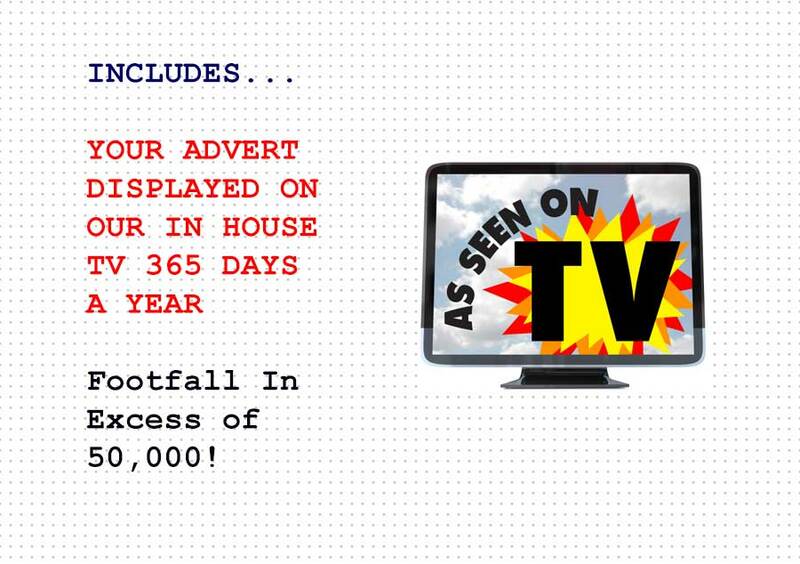 Your advert will be in great company alongside adverts from both local and other UK businesses and it’s available for £150 for a half page advert and £300 for a full page advert. The programme is more than adverts – it also contains a match report, stats and informative player profiles too. Match Day Programme sponsorship is available on a first come, first served basis between January to March each year. Don’t miss out… it tends to book up quickly! Offering you the chance to promote your business to a wider audience locally, across the UK and internationally on a regular basis, website sponsorship really is a very attractive option. An attractive and cost effective way to promote your company, match ball sponsorship also offers you the opportunity to have your name featured in the Match Day Programme for only £25. By way of a thank you, you and a guest also get to join the President of St Annes Cricket Club for a delicious afternoon tea. Opt for the full package and ALL of the above sponsorship opportunities can be yours for only £500! Reap the rewards of promoting your organisation and being discovered by more people in a variety of ways. Hospitality in the Function Suite, watch live sporting action at a 1st XI Northern Premier League Match and afternoon tea with the club’s President on the balcony included too! We’ve a captive audience waiting to discover you! We also stock guest cask ale from J W Lees Brewery Manchester. 5 BOTTLE DEAL ONLY £10.50! That's like getting 1 bottle for FREE! 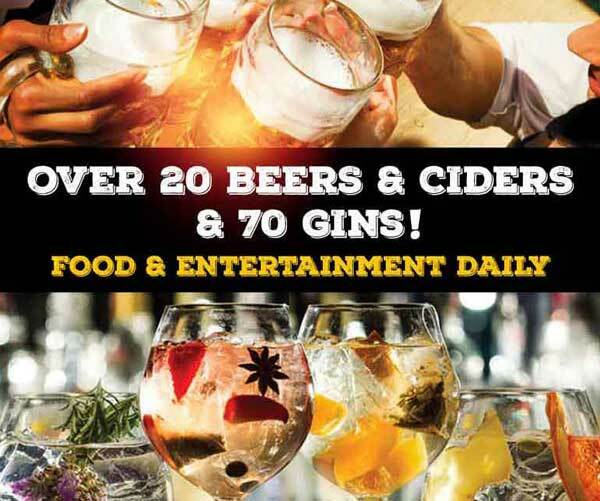 Our bar is fully stocked with a wide range of alcoholic drinks from beer and lager to fruity and original gins, exquisite international wines and fizzy and still non-alcoholic beverages. Visit our membership page to become a member and receive discounts on drinks at the bar, it's quick and easy to download a membership form.